Senators are horrified that the coaches for the City Rail Transit 3 (MRT-3) ordered by the Aquino administration were "chop-chop" vehicles or carelessly assembled from parts offered by various manufacturers. Sen. Grace Poe, chair of the public services committee, said officials of the previous administration lied before senators when they repeatedly gave assurance that the coaches from Dalian Locomotive Inc., costing P3.8 billion, would be immediately put to service when they arrived last year. “I’m vexed, I’m angry along with our countrymen… they (officials) gave guarantees many times but they were all lies,” Senator Grace Poe said. “They (officials of the defunct Department of Transportation and Communications) are the original ‘chop-chop’ people,” she said, using street slang for stolen vehicles broken down into parts and then sold. Considering that there are still lacking or incompatible parts from the various suppliers, the trains can not be used by the MRT-3, the senator regreted. anak ng impakto mga hudas...kung magnakaw kayo sagad sagad mga hayup kayo...hindi dapat sa mga putang ina nyo ang kulungan dapat sa inyong mga hayup kayo firing squad! Let them be tried and have their day in court. If they are guilty let them rot in jail for economic sabotage, graft and corruption. 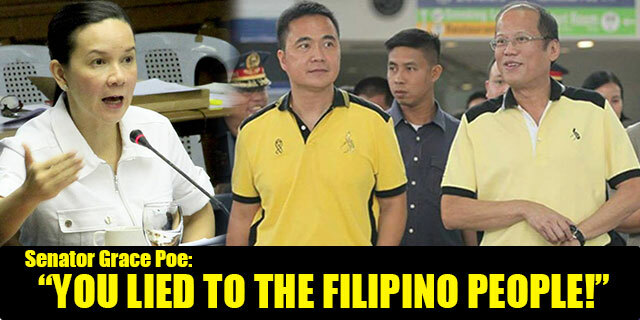 Who will now say that Abnoy's administration was corruption-free, they should be prosecuted for plunder.